Our combined staff have over 50 years of expertise to custom tailor the details of your event plus robust, delectable food choices that will give you many options. 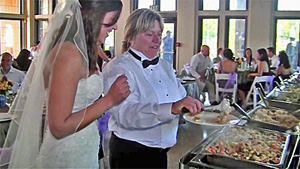 When it comes to catering your wedding reception, Gary's Catering event planners and chefs can help you build a menu that your guests will truly remember with a smile. Have questions? Consult with our culinary team to get the wedding catering process started now. Gorgeous bountiful buffet featuring decorative mirrors & display risers! Delicious at an economical price! Fresh poultry direct from Michigan farmers! Italian Meatballs engulfed in Marinara sauce & spaghetti noodles with shaved Parmesan on the side. Italian Meatballs tossed with egg noodles presented in Chef Joseph's home style Swedish sauce, Classic Mushroom or Brown gravy. Entree is deliciously prepared with a medley of fresh seasonings then oven baked til golden! Our signature Salisbury steak topped with rich brown mushroom gravy, sauté' bell pepper & onion and topped with melted cheddar cheese. “Grade A” Tom Turkey seasoned to perfection, slow roasted to seal in its natural juices. Presented in homestyle gravy. Cranberry sauce accompanies this traditional entrée. “Eastern Market” Sweet Italian Sausage deliciously roasted with medley of sweet bell pepper, fresh chopped basil and sauté’ onions. Tossed with Penne pasta and Chef Joseph’s signature Marinara sauce. Shaved Parmesan presented on the side. Italian Meatballs engulfed in Marinara sauce over spaghetti noodles with shaved Parmesan on the side. Italian Meatballs tossed with wide egg noodles presented in home style Swedish sauce, Classic Mushroom or Brown gravy. Entry level to upscale dining; featuring 3 entrees! Thinly sliced; simmering in Chef Joseph's delicious Marsala sauce, complemented by saute mushrooms. Choice of vegetable , potato & salad, bakery bread & rolls. 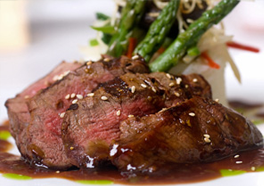 This is our most requested Beef Entree! Slow roasted to perfection, your guests will be thrilled with Chef Joseph's "fork tender" delicacy. Creamy horseradish sauce accompanies this stellar entree. Slow roasted Prime Rib with our own special seasonings resulting in one of most popular upscale entrees! Upon request, sauteed silver dollar mushrooms. The Ultimate in Presentation, Style and Flavor! Slow roasted to perfection your guests will be thrilled with Chef Joseph's "fork tender" delicacy. Chef Joseph's signature "Jack Daniel Teriyaki" Glaze. Crisp romaine lettuce tossed with cherry tomatoes, red onion, garlic herb croutons and fresh Parmesan cheese. Creamy Caesar dressing. The following salads are available on $17.25 per person and greater menus. 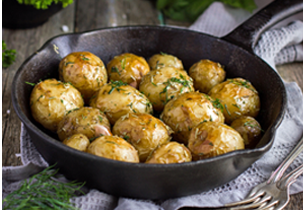 Slow roasted potatoes lightly seasoned with roasted garlic, cracked black pepper and fresh Rosemary. Menu's $16.95pp and greater feature Fresh "French Cut" Green beans. Upon request- addition of crumbled bacon. Below selections have been designed to capture the attention of your guests & give them something great to talk about when your special event is over! 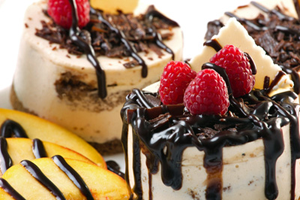 Mouth watering assortment of Miniature french & italian pastries, black forest torte, mini eclairs & cannoli's, assorted petit fours, chocolate dipped strawberries, seasonal berries and upscale bakery cookies, butter cream brownie bites. Mixed greens, cucumber, cherry tomato, shredded carrots, parmesan, herb crouton. # needed will depend upon selected menu. Upon completion of dinner service / contracted duties. Please discuss with your event planner. Great care goes into the creations displayed above. They are designed to be striking to the eye and delectable to the palate. Your wedding guests will remember them fondly. Click on our Questions & Answers link for answers to commonly asked questions. Minimum of 100 guests for stated pricing Friday & Saturday events. Monday thru Thrusday & Sundays minimum is 75 guests. 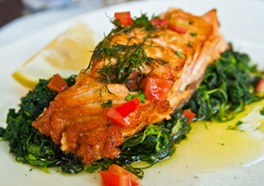 As an “off-premise” catering service, we travel to our clients site location, whatever city that may be. Your event order may or may not include a Delivery fee. This fee is calculated by total miles driven as well as length of time for round trip commute. If you have any questions regarding Delivery, please discuss with one of our Event Planners. 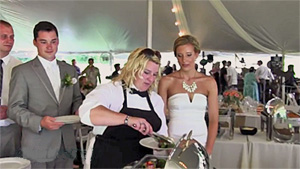 West Bloomfield Wedding Catering Services, Michigan, Bloomfield Hills Wedding Caterer, Wixom Wedding Catering Services, Novi, MI Baby & Wedding Catering, Livonia, Canton, MI, Westland, Wayne, Detroit, Dearborn Wedding Reception Catering Service, Dearborn Heights, Michigan, Wyandotte, Auburn Hills, MI, Troy Wedding Caterers, South Lyon, Milford, Plymouth, Northville, MI, Ypsilanti Wedding Banquet Caterers, Redford, Farmington Hills Wedding Catering, Canton, Commerce, Royal Oak, MI Caterers, Michigan, Birmingham Wedding Shower Catering Services, Farmington Wedding Catering Services, Michigan, Ann Arbor, Wedding Catering Service, Dexter, Pinckney, Brighton, Howell, Hartland, Fenton, MI, Flint, Southfield Catering, Belleville, Rochester, Michigan, Ferndale, Rochester Hills Wedding Caterers, Bloomfield Hills, Clarkston Wedding Shower Catering, Waterford, Bingham Farms, MI, Taylor, Saline, Brighton Wedding Caterers, Lapeer, MI, Sterling Heights Caterers, Warren, St. Clair Shores, MI, Eastpointe, Harper Woods, Wedding Catering Grosse Pointe, Grosse Pointe Farms, MI, Wedding Reception Catering Services, Roseville, Clinton Township, Michigan, Shelby Township, Beverly Hills, Trenton, Downriver, Jackson, Lansing, Michigan, Metro Detroit Wedding Reception Caterers, Oakland, Wayne, Macomb Catering, Livingston Wedding Caterers, Washtenaw county, Genesee, St. Clair, and Ingham county Wedding and Wedding Caterers, Restaurant Quality Baby and Wedding Catering for Metro Detroit Michigan. 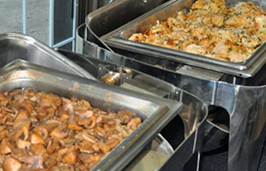 Baby and Wedding Shower Catering Services in Metro Detroit.